Chrome Time & Tide Clock. Heavy, cast brass which has been beautifully chromed to the highest quality. Lacquered and varnished giving a highly polished appearance. Will not corrode in marine environment. Fitted with rubber sealing ring stops moisture tracking into mechanism. Quartz driven. 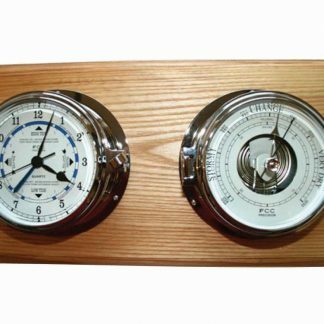 Hinged door design allows simple access to alter clock or tide time and fit battery. No need to remove clock from mounting. Supplied with 3 chrome screws for flange mounting or can be hung using the keyhole slot in the back plate. This tide clock shows both the state of the tide and the time of day. 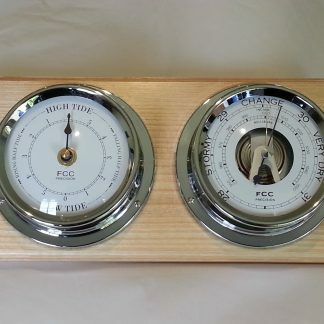 Suitable for boat or home. 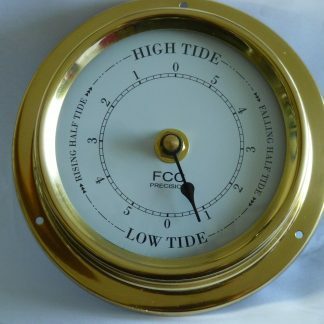 Please note the Time & Tide Clock should not be used for navigational purposes. Chrome Time & Tide Clock. Marine quality. Heavy, cast brass which has been beautifully chromed to the highest quality. Lacquered and varnished giving a highly polished appearance. Will not corrode in marine environment. Fitted with rubber sealing ring stops moisture tracking into mechanism. Quartz driven. 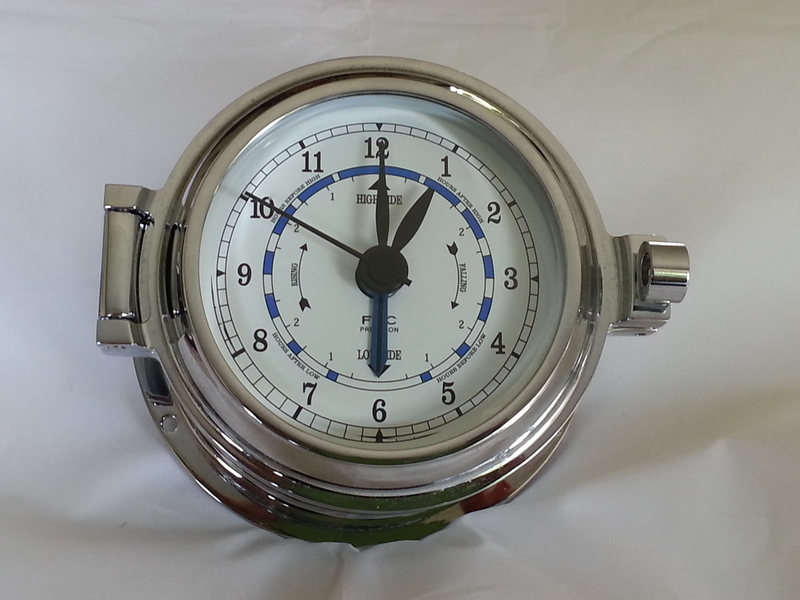 Hinged door design allows simple access to alter clock or tide time and fit battery. Slightly domed lens. No need to remove clock from mounting. Supplied with 3 chrome screws for flange mounting or can be hung using the keyhole slot in the backplate. Fitted with rubber sealing ring. Stunning, quality chrome Time & Tide Clock shows both the state of the tide and the time of day.